As medicine has developed over time, scientists have discovered more and more infectious diseases. Among them, tuberculosis is claimed to have caused more death than any other disease (1). This health problem emerged even in developed countries in 1985, at the same time when the virus HIV was discovered. Scientists believed that the body infected with the virus HIV could not maintain a healthy immune system and failed to protect itself from tuberculosis germs. Since 1993, the United States has applied strong control programs, which reduces the case of tuberculosis. But now it is still a concern that you need to be aware of because TB can trigger death. Tuberculosis refers to a disease which mainly does harm to our lungs. It is highly infectious and results from the bacteria ‘mycobacteriam tuberculosis’ (2). However, this problem is not harmful to the lungs only. Over time, it may develop to other parts of our body and cause severe damage. The bacteria named above are responsible for tuberculosis and it can be spreaded among us. The chance for this bacteria to develop is when our immunity becomes weaker and the body fails to fight against its attack. WHO stated that over 95 percent of tuberculosis cases was recorded in developing countries (3). It also pointed out that 30 percent of people with HIV would die because of TB. Tuberculosis might affect your life more easily if you suffer from one of these following health problems: diabetes, some types of cancer, malnourishment or final-stage kidney disease. Besides, you are more likely to get infected if you travel to some regions with a high rate of tuberculosis cases, such as sub-Saharan Africa or some Latin American countries. Tobacco is also one of the most significant causes of tuberculosis. Symptoms of tuberculosis may include painful feelings in the chest, back or kidneys. You might feel extremely tired and refuse to eat anything. Besides, digestive problems are common seen as one of tuberculosis symptoms. Sufferers will cough frequently as well. These might be the symptoms of tuberculosis in children; thus, keep an eye on your child’s situation carefully. Only in severe circumstances do some people experience fever or lose some weight without any particular explanation (4). In general, tuberculosis cannot be transmitted through single interaction. Nevertheless, if you have regular contact with patients for a long time, there is a higher likelihood that you suffer from it as well. Even though tuberculosis is quite dangerous, some simple ingredients from the nature can contribute to lowering your risk. Here are top 15 home remedies for tuberculosis that even patients can apply to promote their tuberculosis prevention and treatment. One of the simplest, but best natural home remedies for tuberculosis is milk which contains a huge amount of calcium. It works as a therapeutic agent to fight against tuberculosis symptoms, even in children. If you maintain the habit of consuming milk regularly, your body will receive enough calcium – a mineral playing an important role in tuberculosis infection. 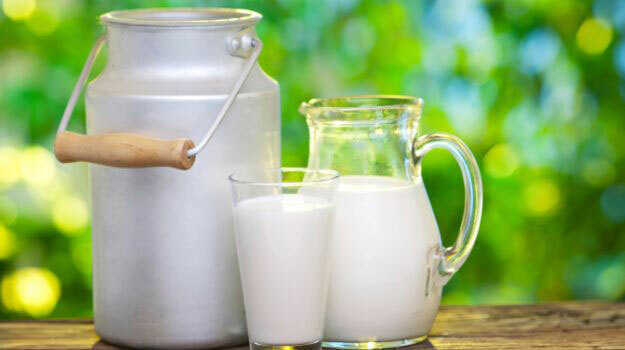 In fact, milk is one of the best home remedies for bone tuberculosis. You had better consume hot milk twice per day, after waking up and before going to bed. They have plenty of health benefits as well. With many antioxidants, green tea is a simple choice to make your immune system stronger. This herbal tea also provides polyphenol compounds which is regarded as the killer of bacteria and tuberculosis infection (5). In other words, green tea is one of the best home remedies for tuberculosis. Find out more about how you can make green tea at home and its various health benefits. Thanks to rejuvenating quality, custard apple is effective to invigorate our body. Therefore, it is beneficial for tuberculosis natural treatment. Normally, you can eat custard apple’s pulp immediately. Besides, you can make it another way to take advantage of its health benefits. Mix its pulp, raisins (about 25) and water (one and a half cups). Boil them until the volume of water remains only half. Get it strained and mix sugar (about 2 teaspoons). When it is cool, consume the mixture 2-3 times on a daily basis. With a number of compounds and minerals in its nutrition, orange has been well-known with many health benefits over time. Now it comes to light that orange can be beneficial for tuberculosis natural treatment as well. Providing a huge amount of vitamin C, orange definitely gives a boost to our immunity, which helps to prevent tuberculosis more effectively. In addition, the lungs can benefit from the saline action of orange juice. 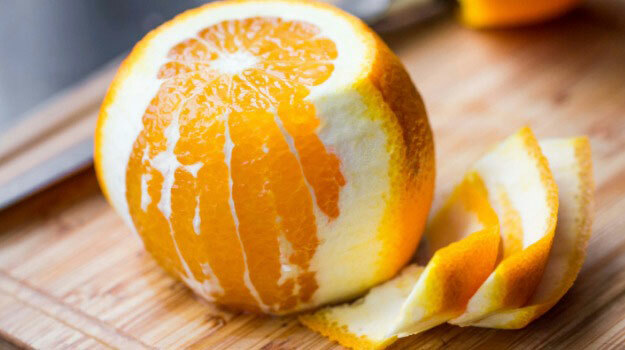 This means that secondary infections are prevented and orange helps to ease expectoration’s. Hence, you should consume orange juice twice every day, just like milk. If you want more, try mixing honey and salt with the juice and the benefits will increase. Undeniably, banana is a traditional food to strengthen our immune system, contributing to the treatment of many problems. Therefore, you can be relieved to use banana as one of the most effective home remedies for tuberculosis. Spending more time on the preparation of banana juice can save you from serious tuberculosis symptoms, such as fever or coughing with blood. Try to digest banana more than twice on a daily basis and tuberculosis natural treatment will be successful. There is no doubt about health benefits of garlic, but what is the role of garlic in tuberculosis natural treatment? First of all, garlic is very good for our immunity. Therefore, it can be used in TB prevention very well. Furthermore, garlic contains ajoene and allicin antioxidants which are super powerful to contain the development of TB bacteria. Though it is the best to eat raw garlic, most of us do not like this way because it will make our breath disgusting. There are several other ways to make use of this ingredient. You can mix garlic juice (about 10 drops) in one cup of milk and consume it before bedtime. Besides, garlic capsules are a good idea to get its nutrients as well. Mint will help you deal with coughing – perhaps one of the most annoying tuberculosis symptoms in daily life. With antibacterial and healing qualities, mint is considered as one of the most effective home remedies for tuberculosis. It prevents the concentration of mucus and improves the condition of our lungs as well as other parts of the body. If the treatment of tuberculosis requires you to use some medicines, mint is effective to prevent their unwanted effects. You should prepare mint juice (about one teaspoon), honey and pure malt vinegar (two teaspoons for each). Then, consume 1/3 of the mixture at one time. Black pepper has cleaning quality on our lungs, which makes it perfect to become one of the best home remedies for TB. Additionally, you can easily feel relieved from chest pain caused by tuberculosis. Prepare 8-10 fried black pepper and put them in clarified butter. Then, mix asafetida powder (about a pinch) into it. When the mixture is cool, you should consume 1/3 of it at one time and repeat several times per day. Thanks to the anti-inflammatory quality, black pepper can lower the risk of inflammation and treat coughing efficiently. Pineapple is not only a delicious fruit to cool our body, but also one of many wonderful home remedies for tuberculosis. It has particularly great influence on dissolving mucus and eradicating nasal blockages. You can use pineapple regularly to speed up the tuberculosis natural treatment. Try to consume at least one cup of its juice on a daily basis. Remember to use the fresh juice without artificial sweenteners. As tuberculosis infection often makes us feel tired and experience severe energy loss, walnuts will be a great way to deal with this. Walnuts are a great source of energy. Moreover, they have wonderful effects on our immune system with many nutrients accelerating the recovery. You should use walnuts frequently in daily meals to strengthen the immunity. Besides, for tuberculosis natural treatment, you can mix powdered walnut and garlic paste with the ratio 2:1 (teaspoon). Clarified butter can be added with the amount of one teaspoon. You should consume the mixture once per day. Barberry contains a special compound which supports tuberculosis treatment. It is berberine that eliminates the bacteria causing TB infection with its bactericidal quality. Therefore, you are suggested to eat 10-15 barberries on a daily basis. It is a great support for your immune system. You should combine the use of this ingredient with conventional treatment to get the best result. The pods and leaves of drumstick contain an impressive number of minerals and vitamins, namely, carotene, phosphorus, calcium or vitamin C.
Drumstick also gives anti-inflammatory and antibacterial qualities and you can make use of them to prevent inflammation and TB infection efficiently. Get several drumstick leaves into water and boil them in 5 minutes. Wait until it is cool. Mix lime juice, pepper and salt into the solution. Consume it every morning before you have breakfast. If you do not have much time, boiled drumsticks may be eaten immediately. Indian gooseberry is strongly anti-inflammatory and antibacterial, which makes it perfect for home remedies for tuberculosis. It provides many nutrients to improve your energy level. You should consume about 2-3 on a daily basis or prepare its fresh juice mixed with honey to drink before you eat anything in the morning. Once you get infected with tuberculosis, it has negative effects on the bones by reducing the silica. This component plays an essential role in the fight against diseases. Thus, you will need something to back up the level of silica in your bones, such as horsetail. In other words, horsetail is one of the best home remedies for bone tuberculosis. Mix horsetail (about 2-3 gm) in hot water. Boil them in about 5 minutes before filtering it. Try to consume it several times per day, after you have eaten something. Do not apply this method if your stomach is empty. 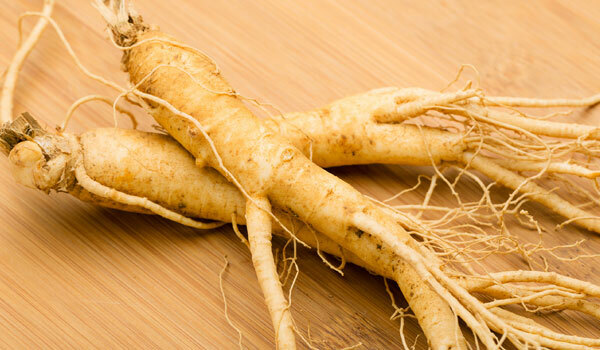 Ginseng has been long known as a huge source of minerals and nutrients. In the past, only the royal could use ginseng to promote their health. The use of ginseng will enhance your body’s resistance against tuberculosis infection and diseases. In particular, ginseng is one of the best home remedies for TB in children whose immune system is still weak. However, this should not be used freely. You need the consult from a pediatrician first. Some foods can serve as wonderful home remedies for tuberculosis, but some might worsen your condition. Thus, it is better to avoid them in daily life. In the treatment of TB, the consumption of red meat should be limited. Besides, you need to stay away from fried or junk foods. Prepare enough time at home to cook for yourself. Some symptoms of TB might be similar to those of other health problems. Therefore, it is recommended to visit a doctor if you notice fever, persistent cough, sudden weight loss or night sweats. The doctor will examine your condition and give more exact conclusion. Besides, HIV/AIDS patients definitely need to interact with their doctors to find better solutions. As tuberculosis, can be transmitted through the air, it is better to limit the frequency of interaction with tuberculosis-infected people. You should supplement your body with enough minerals and vitamins to make your immune system remain strong. Foods which provide much iron, calcium, and vitamin B are strongly recommended. Exercise is needed to perform every day. This not only improves health, but also reduces stress and depression that are common causes of weak immunity and tuberculosis. Do you find these home remedies for tuberculosis useful? Share your experience with us now! If you know any other home remedies for tuberculosis, you are welcomed to share it to our community by commenting on the box below. We look forward to hearing you soon!